If you are a regular reader of my blog you will know that over the course of the last few months we have been working with Coca-Cola Great Britain as part of their Parent Panel, where we are learning more about recycling and Coca-Cola’s sustainability mission too. If you have followed me for any amount of time you will know that Diet Coke is my secret pleasure (I don’t really drink alcohol anymore so Diet Coke is my drink of choice!) and therefore I was over the moon when one of my favourite brands asked if we wanted to work together on such an important project (sadly I don’t get a lifetime’s supply of Diet Coke, but here’s hoping!). Joking aside, as a family we definitely wanted to learn more about recycling. I said right at the start of the project that while we do our bit we certainly could do more, and I really wanted to educate myself and our children more about the importance of recycling, as well as how we can try to do more as a family in terms of what we do recycle. So far, this project has really opened my eyes as to how much can be recycled. While we had our separate recycling bin outside and we tried not to use plastic bags unless we had to, I knew there was more that we could be doing. Doing this with Coca-Cola has given me a desire to really think about what we are doing as a family in terms of recycling and want to do more, so I am really pleased that it has fuelled this desire in me. Last week it was Recycle Week in the UK, an initiative thought up by Recycle Now to help get consumers more involved in recycling. The theme for it this year was ‘Recycling. We do. Because it matters.’ Coca- Cola asked me to keep a diary of what we got up to over Recycle Week, what we have learnt, and we are continuing to do as a family to try and educate ourselves more and do our bit in terms of recycling plastics. Before working with Coca-Cola I am embarrassed to admit we were perhaps basic recyclers. Don’t get me wrong, we did do our bit. We had stopped using plastic bags in the supermarket unless we couldn’t help it, we obviously had our separate recycling bin outside which we have been doing for years, and we made sure that we didn’t buy plastic packaging on things like vegetables unless there was no other option. We had of course realised the importance of recycling and tried to limit our plastic intake but I was well aware that there was more that we could be doing as a family. In our household I find that there are certain things we end up finding tricky to recycle. When I sat down to think about it I realised that we often just put upstairs recyclable items in the general waste bin we have in our bathroom and then they would just end up being thrown away in our normal waste bin outside. Normally it would be little things, like empty toilet roll holders, toothpaste cardboard boxes, or labels from clothes. Obviously, these are easy things to recycle but because we just had a general rubbish bin upstairs, we didn’t always think to recycle them. I recently ordered a little mini recycling bin for the bathroom. It isn’t huge as we already have a bin in there, but it is a perfect little table top bin that we can all learn to put recyclable things from upstairs in. If it is successful I might get one for the kids’ bedrooms and the play room too, but hopefully this is a step in the right direction. So far, the recycling bins in the bathroom seem to be working. I know that you can get special shampoo bars now that don’t come with packaging, but as yet we haven’t made that switch. So I am trying to educate the girls that while sometimes we do use plastic bottles, we can recycle them still as long as we make sure we rinse them out beforehand. They are actually really eager to learn about it, they all took part in Recycle Week last year at school, so at the moment they are genuinely interested in learning about it. I think children thrive on being rewarded so they really enjoy telling me that they have put something in the recycling bin. At the start of our project with Coca-Cola we bought a large specific compartment bin for the kitchen and the girls still really enjoy telling me which bin they think whatever waste we have should go in. 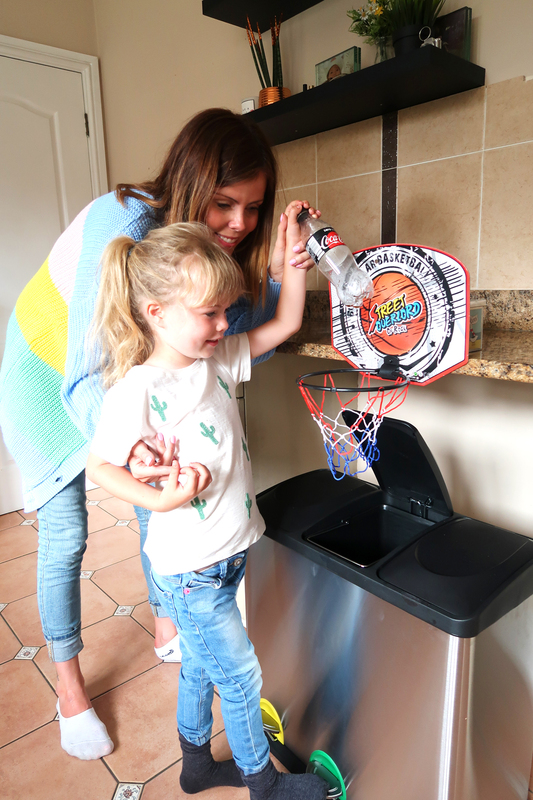 We were advised to initiate fun ideas for making recycling a bit more interesting for them, as let’s face it, it’s not the most fascinating subject for kids, and we popped a basketball hoop over the recycling bin – when they had something that needed recycling it went through the hoop into the bin. This is still a hit now, it’s just a silly and light-hearted way of getting them involved. We had a trip to the supermarket today to do a mini food shop. There are little things that we do in our everyday life that are just a given when it comes to trying to cut down on waste. The first one is not getting new plastic bags from the supermarket each time if we can possibly help it, and if we do, we make sure we reuse those plastic bags as many times as we can. Of course, supermarkets do their own bags for life as well as now imposing the plastic bag charge. When it comes to doing a big shop (if we don’t do it online) I will go armed with plastic bags. 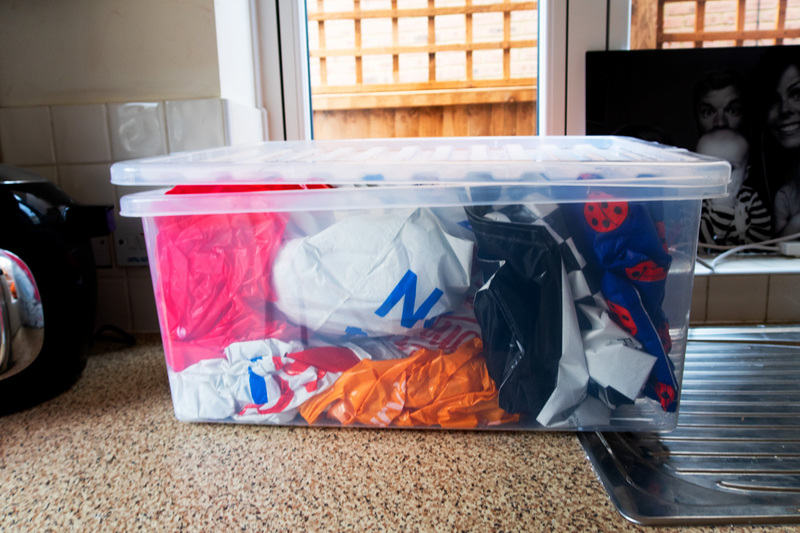 I have introduced a box in my utility room with plastic bags in it, so they are easy to grab and reuse and then store and reuse again. This just means I am not getting new ones constantly. When it comes to just popping in for something on a whim, like we often have to do, the best thing I have found is to keep a tote bag in the glove box of my car. This just means I can go in, grab the few bits I need and then I don’t need to be caught unawares and needing a plastic bag. 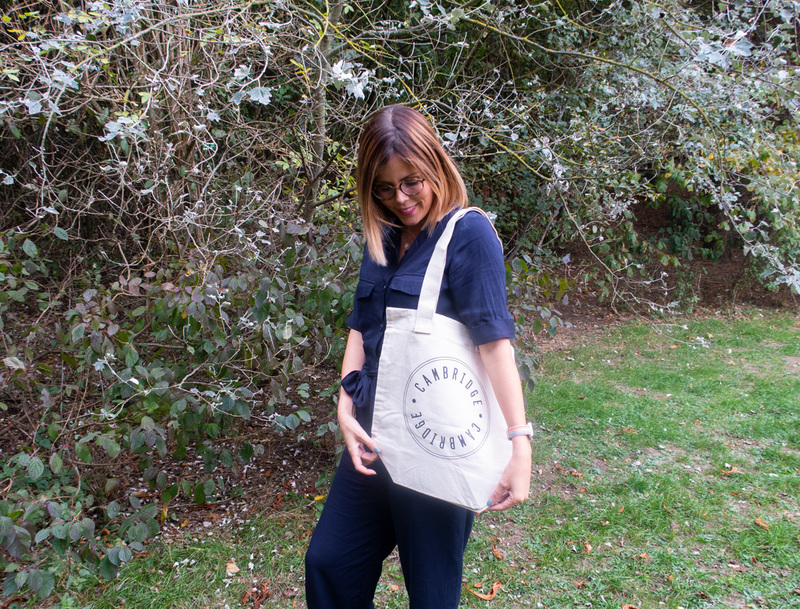 You can get beautiful and stylish tote bags, for example this one is made by a company local to me and £2 of its purchase price is donated to the local foodbank – so it means that you can also help others and the environment by using one. There are other things that we are trying to do more of in terms of things we buy in the supermarket. We have been doing these for a long time, but we will try and get as many unpackaged vegetables as we can, including buying loose apples, bananas, peppers etc. We will also try and get things that have said that they have been made from recyclable items as well, e.g. kitchen roll etc too. I think one thing I can say from doing this project is that is has opened my eyes more, and if I can see simple ways to eliminate our plastic consumption then I will try and do so. Jon is a big fan of grabbing a take away coffee a few times a week. It is just one of those simple pleasures he likes to do if he is passing his favourite coffee shop. 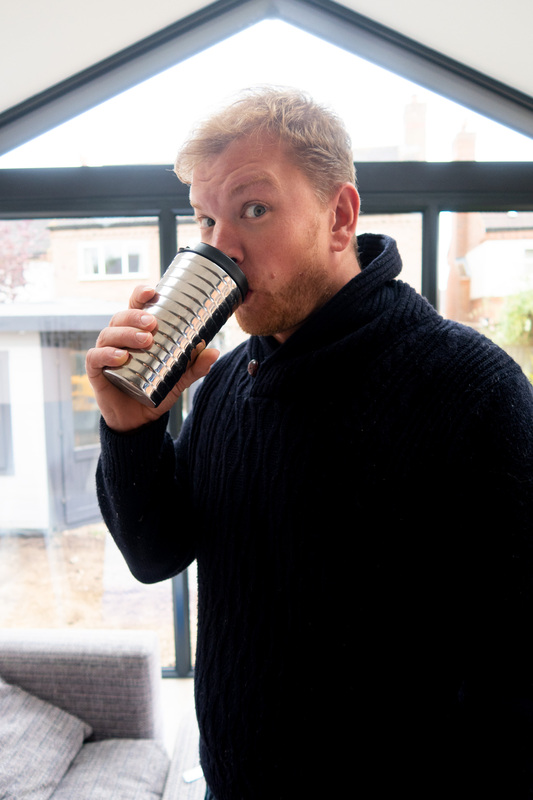 Whereas before he would often do it on a whim and therefore take a disposable paper cup away with him, nowadays he keeps a reusable metal coffee cup in the car and he asks them to fill his coffee in that. Most coffee shops are happy to do this, it keeps it warm and it means he isn’t constantly using disposable cups. I make no secret of the fact that I am a big Diet Coke fan, and I am making a conscious effort to make sure I recycle all of my bottles and cans after I’ve used them. Weirdly, I prefer it when it is in cans or small bottles rather than in the big 2 litre bottles that Coca-Cola do. However Coca-Cola packaging is all 100 percent recyclable. This means I can enjoy my drink in whatever way I like, knowing that if I am out and about I can still put my plastic bottles in a recycling bin. However, I am trying to make conscious decisions when it comes to how I drink it. For example, once you toss your glass bottle in the recycling bin, manufacturers can have it back onto the shelves in a month. Currently only 58% of plastic bottles in the UK are recycled, which I think is quite an astonishing figure. But when I think about it, I know for a fact I have grabbed a plastic bottle of water on the go for example (rather than bringing my own reusable water bottle) and then thrown it away in whatever waste bin was close to hand (rather than a dedicated recycling one). This means that companies like Coca-Cola have insufficient levels of recycled plastic – known as rPET- in their system, which makes it increasingly difficult to produce bottles made from higher proportions of recycled materials. The Coca-Cola packaging in GB currently has 25% rPET and they have made a commitment to reach 50% rPET by 2020. We also have a box in our utility room that sits on top of the side for us to put glass bottles in (e.g. empty wine and Coke bottles), just because it means that they are separate and there is no chance of them breaking. (Just remember to always rinse anything out before recycling). Like I mentioned above the girls are actually really interested in learning more about recycling and the world around them. They have been taught about recycling a few times at school now, so they do genuinely find it quite interesting. 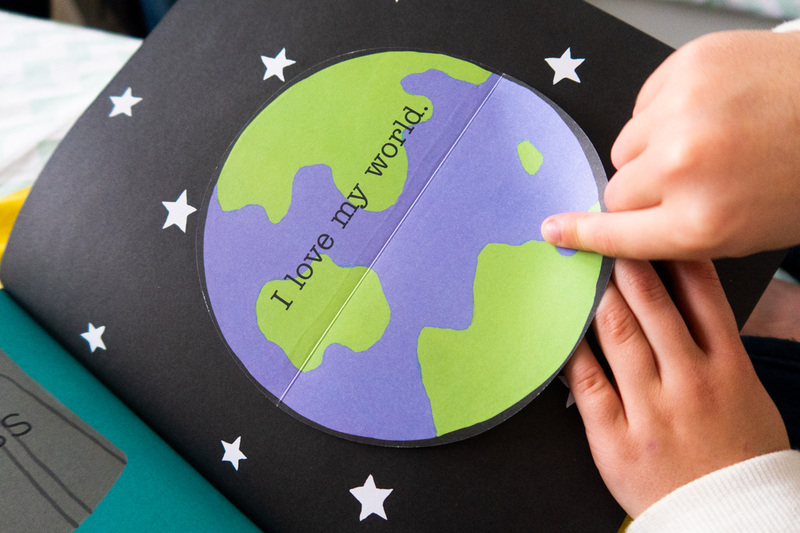 I bought them a few books to help them learn more about it, to make it fun for them and just to help them be a little more aware of the environment and the small things we can do to help. 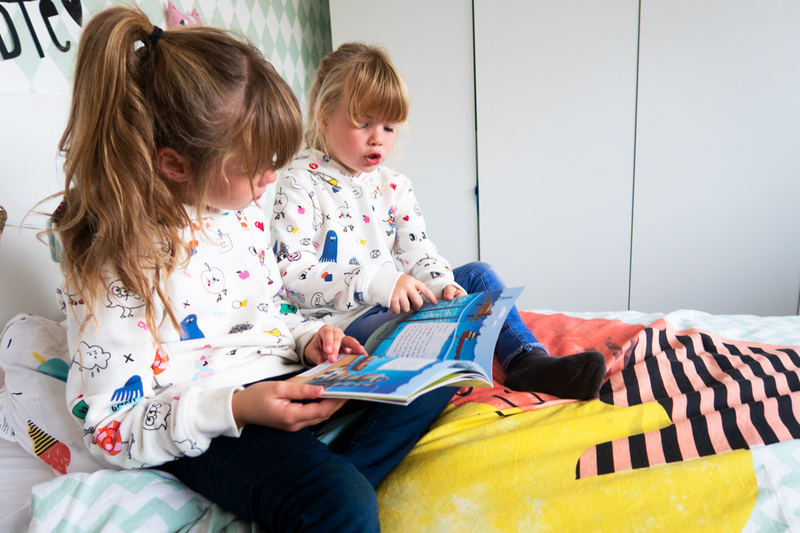 They both adore reading and so I just find that this is a great way of them learning a little bit more about recycling and the environment, as well as things we can do as a family to further improve how we tackle the subject of waste and recycling in our house. Coca-Cola also has a great Recycle Now locator on its website, Journey to help adults decipher recycling too – the items that might not be so easily identifiable as recyclable. And that brings Recycle Week to a close. I think it is really useful and beneficial that a week such as this exists, as they definitely highlight to us all the importance of doing more in terms of recycling. 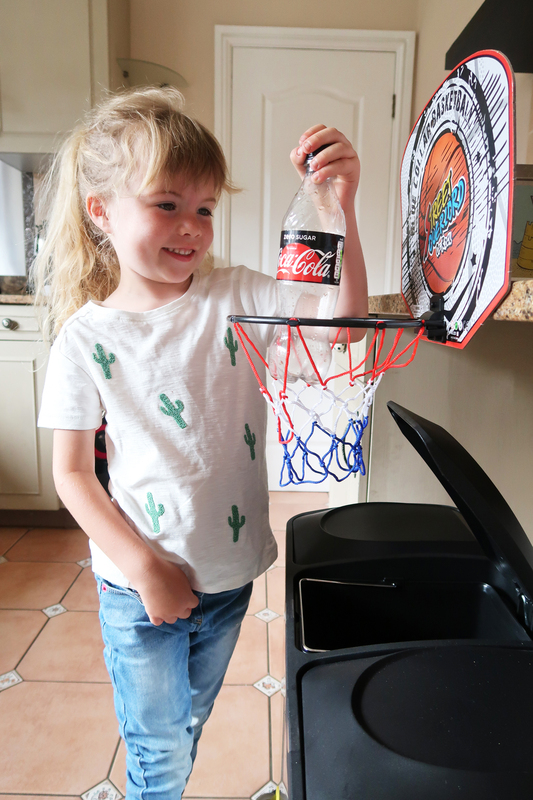 Like I said at the start of this post, working with Coca-Cola Great Britain on this project has really made me think more about how we could do more as a family when it comes to recycling. We have definitely got better but we could be doing more still, and I am learning so much from doing my own research and listening to how others do things. Things like Recycle Week help us realise what more we could be doing. I really hope you have enjoyed my Recycle Week Diary and if you have any more recycling tips on what works for you as a family please do let me know. NB: I am working on a paid partnership with Coca-Cola Great Britain but all words, opinions and content are entirely my own.